The Bath Mat provides a safety solution for in the bathtub. The mat features hundreds of Strong Suction Cups to secure the bath mat to the floor providing you a non-slip surface while using the tub. Bath mat has a textured surface for comfortable safety. 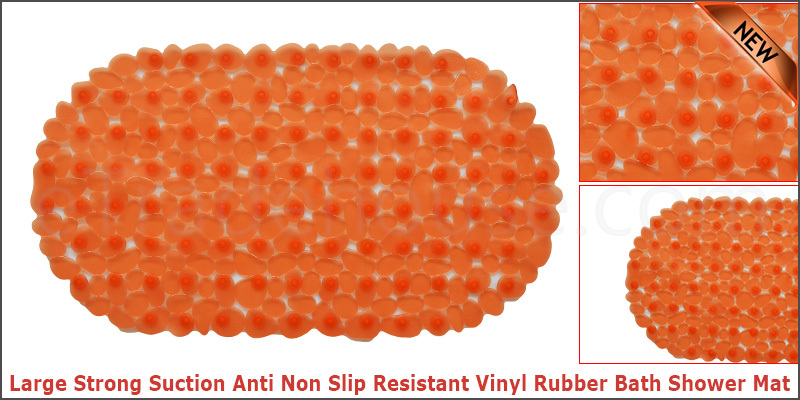 Relax with the comfort of the small raised PVC Pebbles which will gently massage your weary feet. This mat can deter unwanted mold and bacteria.